Happy 2014! My New Year’s Resolution is to infuse more booze! I mean it. I didn’t post very many new recipes last year, and I promise you that this year will be different. Our first infusion for this year is Winter Spice Bourbon. Let’s get right to it. Combine all ingredients in a large jar or bottle, close tight. Shake well and let it sit for a few days to a few weeks. I filtered mine at 12 days, and the flavor it strong. I think you could certainly filter sooner if it tastes to your liking. Let the infusion rest for a week or so after filtering, the flavor will mellow. This infusion will be great in lots of cocktails. Try it in a winter hot toddy, a manhattan, old fashioned, or just sip it on its own. 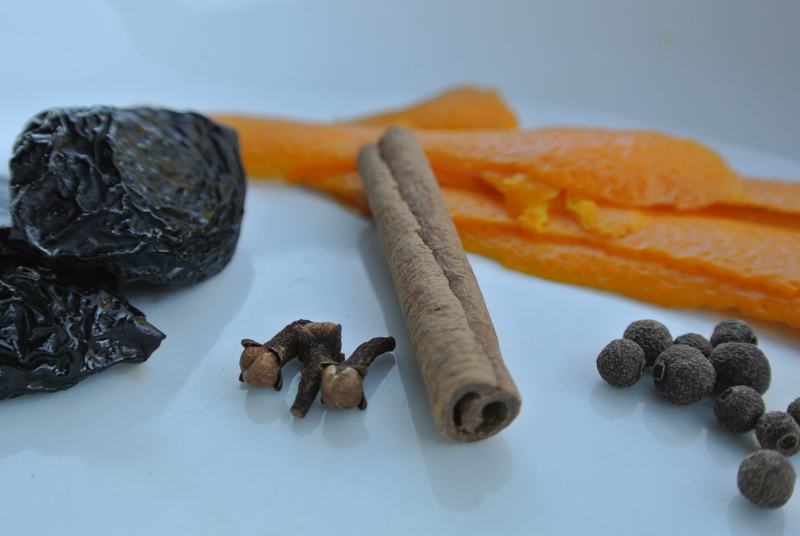 I have more infusions in the works… so stay tuned! 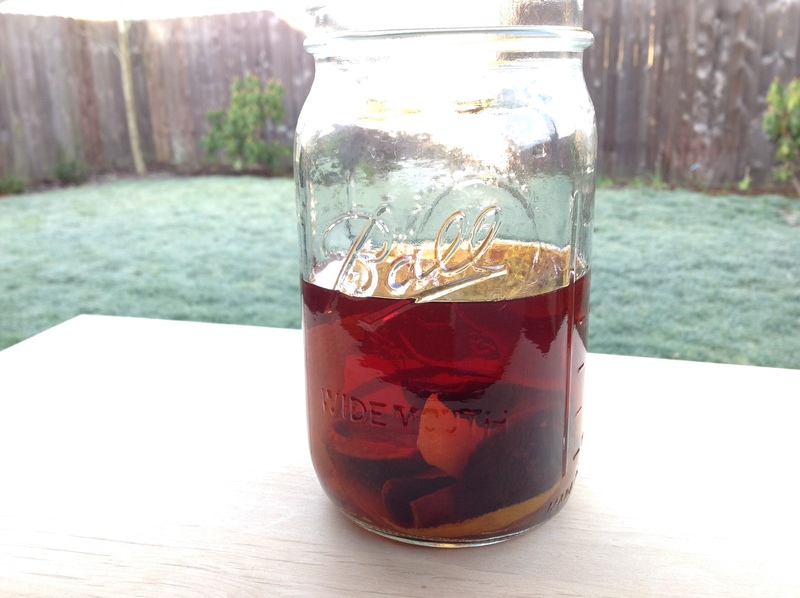 What are you drinking and infusing this winter? 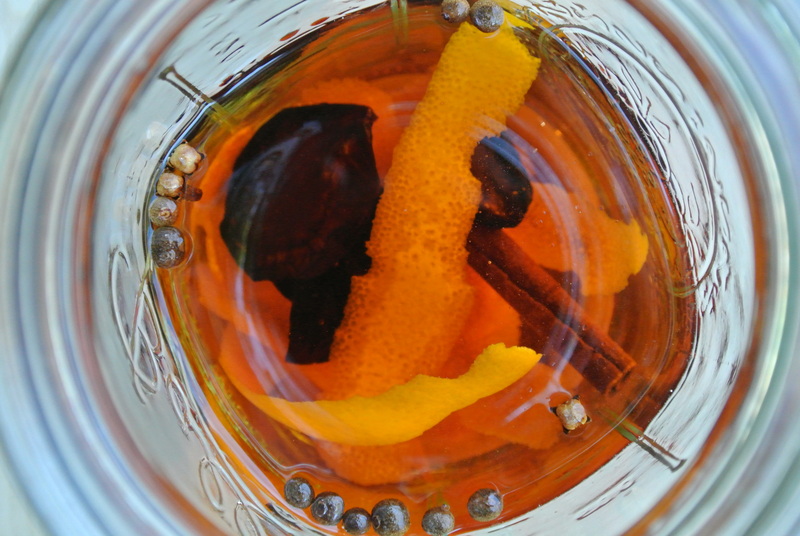 Categories: Cocktail, Infusion, Liqueur, Recipes, Uncategorized | Tags: Bourbon, cinnamon, cocktail, dried plum, infused, infused bourbon, Liqueur, orange zest, recipe, winter spice | Permalink.